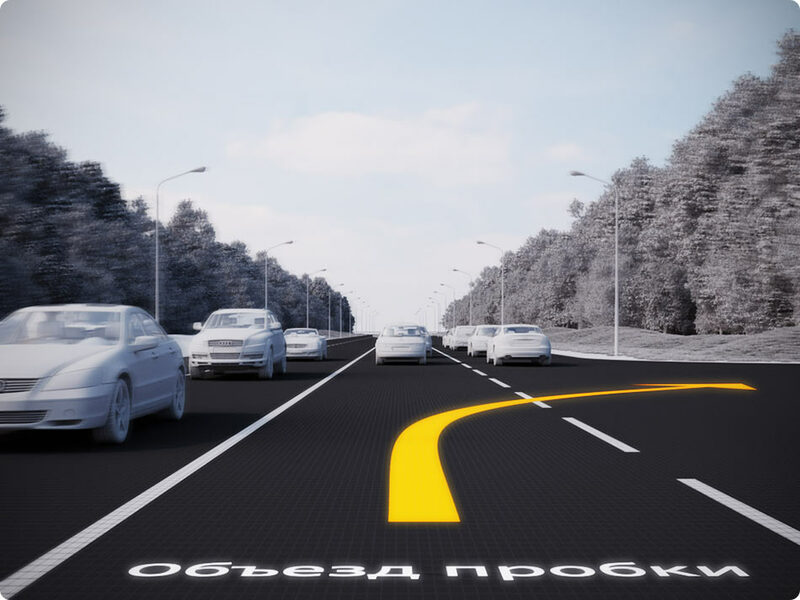 Task: to create an intelligent road marking system. 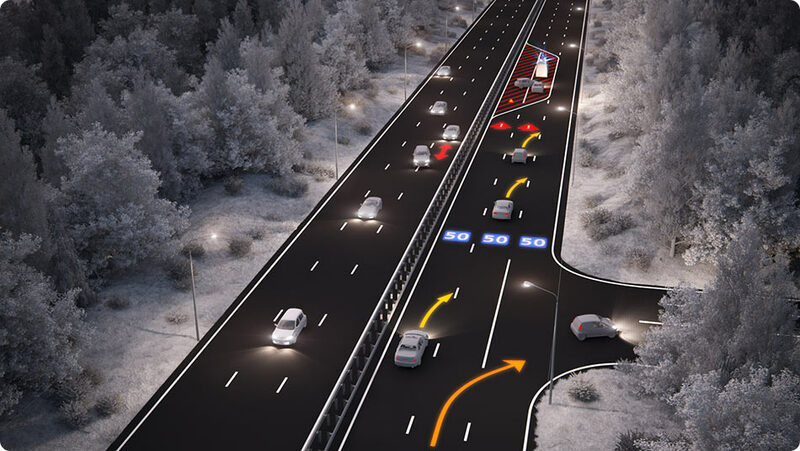 Razmetkus is an interactive system that informs drivers about the traffic situation, changes road markings, displays road signs and helpful hints. If necessary, Razmetkus displays information for each driver individually. 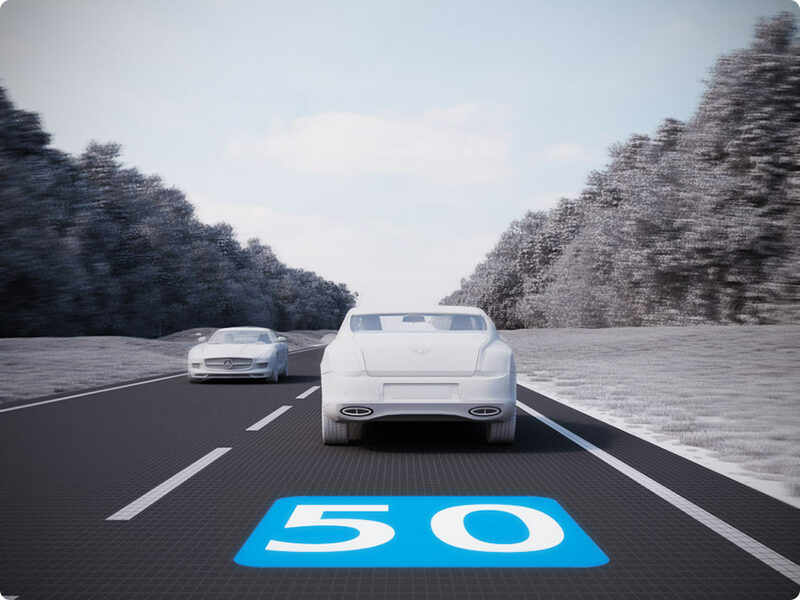 The system consists of interactive road pavement and sensors that track the position of all road users.